The COPD Foundation, Geisinger, GSK and Jvion join forces to avoid hospitalizations and prevent readmissions for patients with chronic conditions. Jvion, maker of clinical predictive science technology, has announced a collaboration with the COPD Foundation, Geisinger and GSK aimed at improving the lives of chronic obstructive pulmonary disease patients. Through an approach that leverages cognitive machine artificial intelligence technology and COPD patient data, the four organizations are teaming together in an effort to help individuals with COPD stay healthier, avoid hospitalizations and prevent hospital readmissions following an inpatient stay. 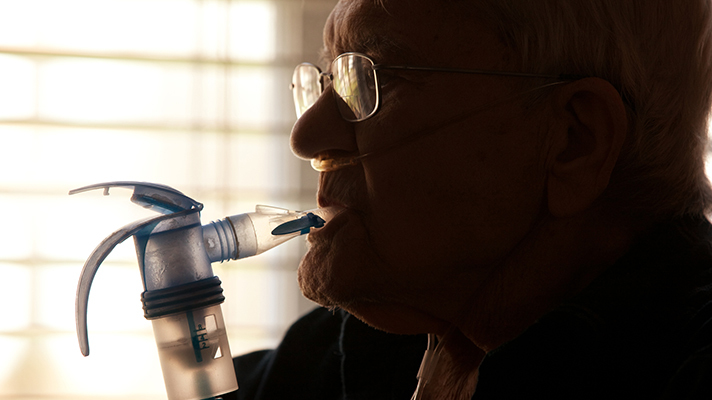 COPD encompasses a group of progressive lung diseases that gradually increase breathlessness and wheezing. The disease – which includes emphysema, chronic bronchitis, refractory (non-reversible) asthma, and some forms of bronchiectasis – impacts more than 30 million people in the U.S. and is the nation’s third leading cause of death. The goal of this project is to identify COPD patients at risk of hospitalization and most likely to benefit from new medications. The information is generated by Jvion’s Cognitive Clinical Success Machine, which identifies such patients currently under the care of Geisinger. The Cognitive Clinical Success Machine is an advanced artificial intelligence solution built using Eigenspace – an approach that is a proven asset in solving complex challenges such as quantum mechanics, search and consumer behavior, facial recognition, and now patient deterioration. This Eigen-based solution enables a comprehensive patient view that is amplified beyond the risk of an event to the clinical actions that will improve outcomes and drive patient engagement, Jvion said. Funded by GSK, the collaboration brings together the COPD Foundation’s reach and leadership, Geisinger’s patient care expertise, GSK’s respiratory research methods, and Jvion’s cognitive machine capabilities to identify COPD patients at-risk of an adverse event. The project is divided into two phases. Phase one will target COPD patients who have had an inpatient stay and are at risk of a readmission within 30 days of their initial discharge; phase two will focus on identifying COPD patients at-risk of an avoidable hospitalization.